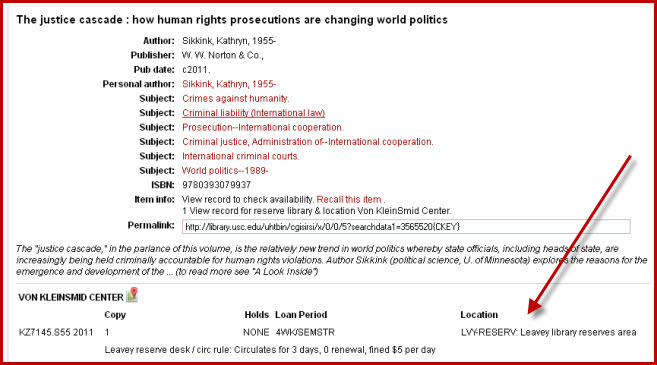 A book whose location is listed as LVY-RESERV has been placed on course reserve by a professor or instructor. All such books are located in Leavey Library and should be requested at the library's Circulation Desk to the left of the front entrance. Depending upon the individual book, check out time for a reserve book can range from two hours to three days. Any USC library user can check out a reserve book and do not have to be enrolled in the course in which the book has been assigned.